The PSW-850 is a simple, economical control for processes which require multiple switching capabilities. Dual or triple-switch controls provide multi-outputs in applications such as alarm and shutdown, pre-alarm and alarm, high/low limit or level staging functions. 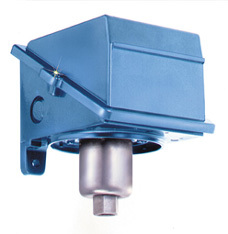 Triple-switch models have been used for liquid level control. In this application, three pressure settings correspond to "pumping out" elevations in a sump pump.